Ok, the holidy season is upon us. 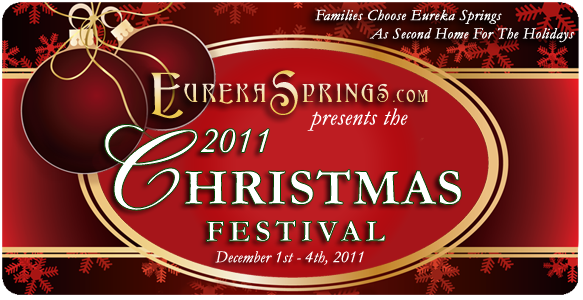 What better way to get a jump on your holiday shopping but with a trip to historic Eureka Springs. In fact I have four ladies coming in on Friday to do just that. Many of the local shop owners have been busy filling their shop shelves with many one of a kind items that you can only find in Eureka Springs. Pass on the malls and take a trip to the past in Eureka Springs our past is your present, and what a wonderful one you will find here. Remember the Angel at Rose Hall is jsut a short walk down town.